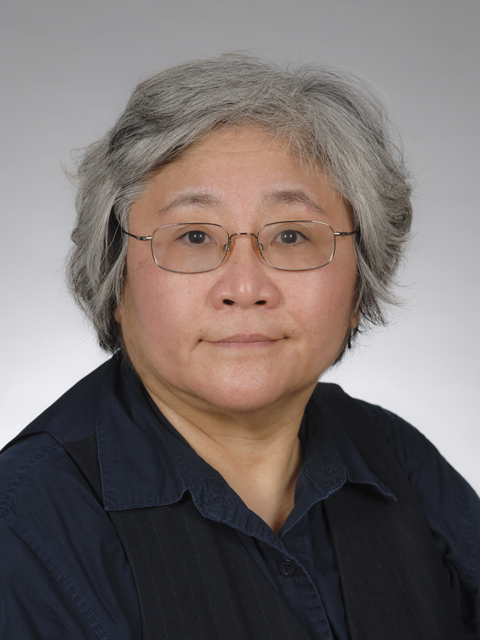 Janet Yamamoto’s current research goals are to develop a second-generation Feline Immunodeficiency Virus (FIV) vaccine, to design an effective HIV-1 vaccine for humans, and to establish a curative therapy for FIV-infected cats. Yamamoto’s laboratory has 21 years of continuous NIH funding for FIV vaccine development. The viral components essential for vaccine are being selected, with the HIV-1 core p24 protein proving to be a better vaccine immunogen than FIV p24 against FIV. This novel observation has lead to the funding of a grant on the selection of conserved HIV-1 vaccine epitopes based on the cross-reactivity to FIV. Given that little is known about the HIV-1 epitopes required for an effective vaccine, this is the first step toward developing a human HIV-1 vaccine. These results are the basis for a new patent application on a chimera HIV/FIV vaccine composed of inactivated subtype-A and subtype-D FIV viruses with HIV-1 p24 in place for the FIV p24. This second-generation vaccine will have companion diagnostics based on the differences between the HIV-1 and FIV p24 epitopes for differentiating the FIV-infected cats from the vaccinated ones. Hence, Yamamoto’s immediate goals are to develop a newly improved FIV vaccine, followed by HIV-1 vaccine for humans, and to translate this research into commercial products. As a long-term research goal, Yamamoto’s laboratory has been working on therapeutic studies to eradicate FIV in infected hosts. This is based on a previous finding that an HIV-1 infected man with leukemia is still free of both diseases over three years after whole-body irradiation and bone marrow transplantation (BMT) with homozygous CCR5 (HIV-1 co-receptor)-deletion stem cells. Yamamoto’s work entails the use of antiviral gene therapy of stem cells, BMT, and BM growth factors in combination with antiretroviral drug therapy, for the treatment of FIV. Additionally, BMT and growth factors to accelerate engraftment can be used to treat leukemia and lymphomas in cats. Prior to 2005, Yamamoto completed 17 autologous and allogeneic BMTs with or without antiretroviral drugs in FIV-infected laboratory cats. Her laboratory is also testing new antiretroviral drugs for FIV and producing anti-FeCD34 antibodies for stem cell purification. Yamamoto hopes to transfer these technologies into a clinical setting as a means of treating leukemia and lymphomas of cats, as well as FIV. More importantly, if successful in cats, a similar approach can be used to cure HIV infection in humans.